Riboflavin, also known as vitamin B2 is an easily absorbed colored micronutrient with a key role in maintaining health in humans and other animals. It is the central component of the cofactors FAD and FMN, and is therefore required by all flavoproteins. As such, vitamin B2 is required for a wide variety of cellular processes. It plays a key role in energy metabolism, and for the metabolism of fats, ketone bodies, carbohydrates, and proteins. 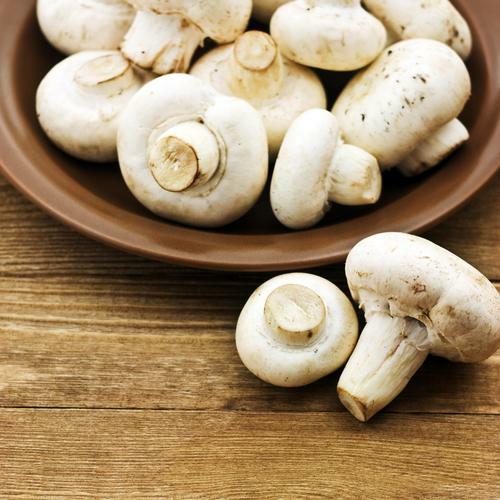 Milk, cheese, leaf vegetables, liver, kidneys, legumes, yeast, mushrooms, and almonds are good sources of vitamin B2. Riboflavin is best known visually as the vitamin which imparts the orange color to solid B-vitamin preparations, the yellow color to vitamin supplement solutions, and the unusual fluorescent-yellow color to the urine of persons who supplement with high-dose B-complex preparations. Riboflavin can be used as a deliberate orange-red food color additive, and as such is designated in Europe as the E number E101. 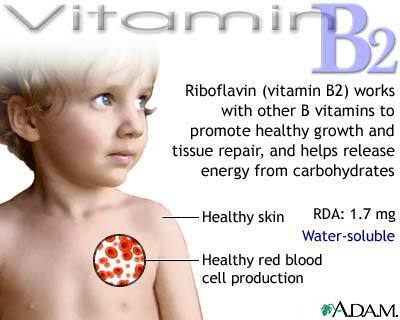 Vitamin B2, also known as riboflavin is the second of eight B vitamins. The word “flavin” comes from the Latin “flavus,” meaning yellow. So, vitamin B2 gets its name from its color. This can be seen when high supplementation occurs, as your urine becomes bright yellow as the excess riboflavin is excreted. While helping to produce energy is one of its uses, riboflavin is also an antioxidant working to rid the body of free radicals. 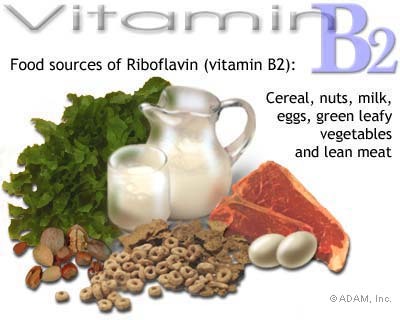 Riboflavin is also needed to help the body change vitamin B6 and folate into usable forms. Other important functions include body growth and red blood cell production. Riboflavin takes the form of flavin adenine dinucleotide (FAD) or flavin mononucleotide (FMN) when it is active in the body's energy pathways. When it converts into these two forms it allows oxygen-based energy production to occur by attaching to protein enzymes. When FAD and FMN attach to proteins they are often called flavoproteins. Flavoproteins can be found all through the body but are mainly based where oxygen-based energy production is needed, for example the heart and skeletal muscle. Among many of FAD's roles one is to be a cofactor for an enzyme called methylenetetrahydrofolate reductase (MTHFR). Being a cofactor means FAD is required to be present for the creation of MTHFR. This is important because MTHFR is involved in the breakdown of homocysteine, and high levels of homocysteine have been linked to an increased risk of heart disease. Energy production and metabolic processes in the body require the use of oxygen, however oxygen containing molecules can be highly reactive and can cause harm to many structures in the body, including blood vessel linings and joint tissues. A small protein-like molecule called glutathione helps to prevent this damage. Glutathione must be constantly recycled and vitamin B2 allows this to happen, as it is a cofactor for the enzyme glutathione reductase, which reduces the oxidized form of glutathione back to its reduced version. Vitamin B2 in its FAD form is also used by an enzyme called kynurenine mono-oxygenase to convert the amino acid tryptophan into vitamin B3, otherwise known as niacin. The majority of healthy people who eat a well-balanced diet will get enough riboflavin. The best sources of riboflavin include brewer's yeast, almonds, organ meats, whole grains, wheat germ, wild rice, mushrooms, soybeans, milk, yogurt, eggs, broccoli, Brussels sprouts, and spinach. Flours and cereals are often fortified with riboflavin. Riboflavin is destroyed by light, so food should be stored away from light to protect its riboflavin content. While riboflavin is not destroyed by heat, it can be lost in water when foods are boiled or soaked. Riboflavin is also best absorbed when taken between meals. 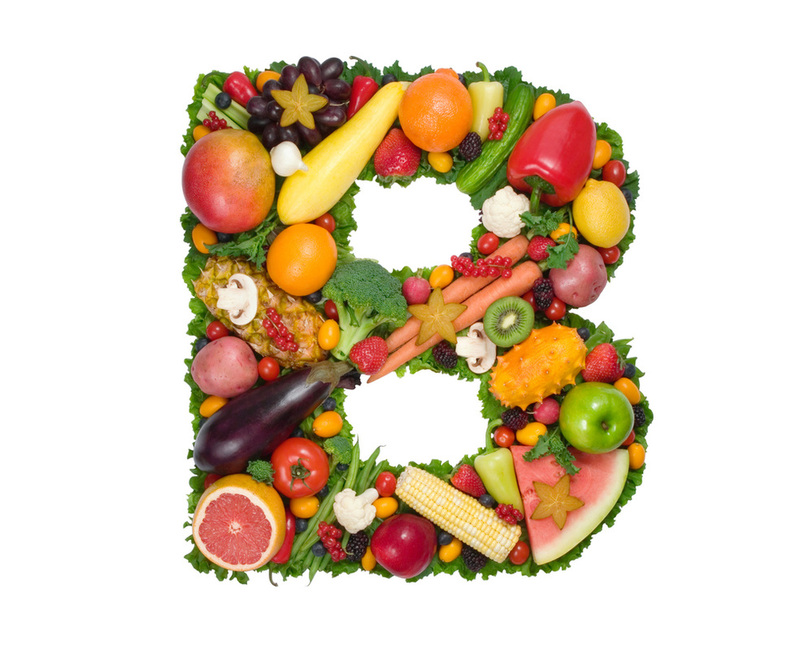 Nutrients that can help with absorption of vitamin B2 are vitamins A, B1, B3, B5, B6, and B12, as well as biotin, chromium, copper, cysteine, folate, glutathione, iron, magnesium, phosphate, potassium, and zinc. Riboflavin deficiency is quite common if dietary intake is lacking, as it is continuously excreted in the urine. It should be noted that riboflavin deficiency is always accompanied by a deficiency of other vitamins. (2) Secondary riboflavin deficiency: When there is another reason for the deficiency. It could be a result of conditions that affect absorption in the intestines, the body not being able to use the vitamin, or an increase in the excretion of the vitamin. There is no known toxicity to riboflavin. Because riboflavin is a water-soluble vitamin, excess amounts are easily excreted by the body in the urine. Possible reactions to very high doses may include itching, numbness, burning or prickling sensations, and sensitivity to light. Preventing migraine headaches: High doses of riboflavin, around 400 mg/day, seem to drastically reduce the number of migraine headache attacks. 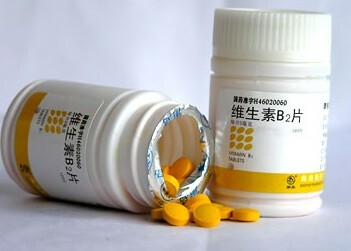 The pain and duration of the headache, though, does not seem to be affected by supplementation. Preventing cataracts: Vitamin B2, along with other nutrients, is important for normal vision. According to early research findings, riboflavin might help prevent cataracts. In one double blind, placebo-controlled study, people who took a niacin and riboflavin supplement had fewer cataracts than people who took other vitamins and nutrients. However, researchers don't know whether that was due to riboflavin, niacin, or the combination of the two. Continued research is needed to evaluate if riboflavin can really help in preventing cataracts.